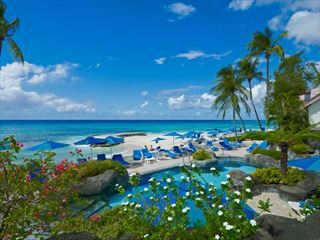 THIS HOTEL HAS CLOSED PLEASE SEE OUR OTHER HOTELS IN BARBADOS FOR ALTERNATIVE ACCOMMODATION. A truly relaxing and tranquil location with a welcome cooling tropical breeze - this is indeed the tropics and means the air conditioning isn’t always needed! The Resort is near the South Point, home to the well known surfers’ paradise and is world-renowned for the competitions held between December and May. Whether spectator or participant. you can’t fail to be gripped! 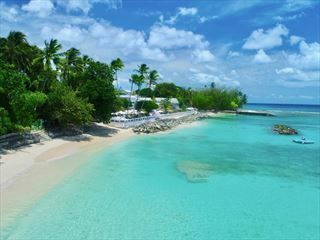 For golf-lovers this resort is just 8 minutes away from the 18-hole Barbados Golf Club and Lighthouse guests have preferential rates to use these excellent facilities. For those craving nightlife, Lighthouse is just a short 10 minute taxi ride from the well known St.Lawrence Gap with its various bars, restaurants and nightclubs. And of course, the popular Friday Fish Fry at Oistins is a must for all! This is an excellent apartment hotel for couples and families who are looking to relax in a tranquil secluded and intimate self-catering property, yet located near to those all important activities and amenities. The newly-completed Lighthouse Resort has 47 apartments including one magnificent 3 bedroom penthouse. There are 26 one bedroom apartments and 20 two bedroom apartments. All apartments are imaginatively designed in Italian and Balinese style and are an excellent size as well as being well equipped for a self catering holiday.